By strengthening organization capacity and accountability. 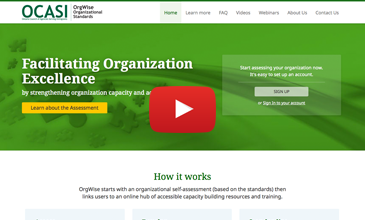 OrgWise starts with an organizational self-assessment (based on the standards) then links users to an online hub of accessible capacity building resources and training. OrgWise assesses the health of organizations and identifies areas for growth. It is confidential, easy to use and provides comprehensive reports, chart and work plan for Organizational development. OrgWise Assessment helps to inform and prioritize organization capacity and professional development trainings for staff and organization leaders. It provides electronic resources such as sample policies, templates, webinars, videos and guides to increase your organizations’ effectiveness. OrgWise Assessment benchmarks organizations against a set of voluntary Standards developed by and for the immigrant and refugees-serving sector. It also standardizes a framework for organizational accountability, sector priorities and capacity development training needs. 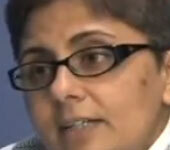 The major focus of the introductory presentation and getting started videos is the OrgWise Self-assessment. The introductory video provides you with an overview of OrgWise, highlight the goals of the project, and describe how the Organizational Standards Tool can benefit you and your organization. The getting started video will show you how to get started and register for an account log-in, fill in the tool, and interpret their results. Start assessing your organisation now. It's easy to set up an account Sign Up or Sign In to your account. OrgWise electronic resources offer users a complement of resources to assist organizations in to their organizations capacity.